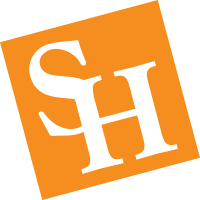 The College of Criminal Justice has a strong reputation in the field of criminal justice and a dedicated network of alumni around the globe who frequently give back to Sam Houston State University with their time, talents and support. Our alumni serve as leaders in law enforcement, corrections, victim services, forensics, the legal field, public and private security, higher education and much more. To get a snapshot of our alumni, subscribe our alumni newsletter, the CJ Mandate and share your own success story with us today in Alumni Updates. Or wear your Bearkat pride and Join the SHSU Alumni Association. Through the generous support of our donors we've been improving the quality of justice through education and research for over 50 years. You can help continue the legacy of the College of Criminal Justice for the next generation of scholars and leaders by joining the Friends of CJ.